My name is Andy King. Proprietor and trainer at Find Us Keepers. The position of Goalkeeper is one I can appreciate fully, knowing how hard it can be helps me help you, and with proper quality training I can show you the rewards that training can bring. Having been trained by Professional Coach Malcolm Webster, who has trained the likes of Robert Green, Kelvin Davies and Craig Gordon to name but a few. Ben and Malcolm helped me improve week by week with my techniques but mainly on self confidence in my own ability. 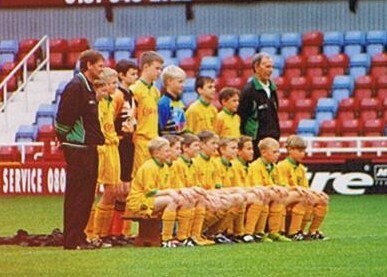 This is shown by the greatest achievement in my playing career by being accepted to the Norwich City Academy. 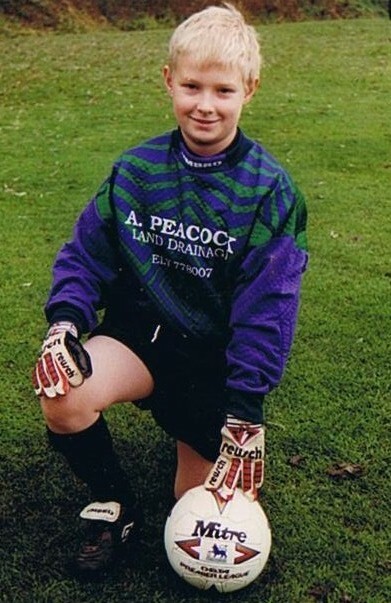 I started off at Ely Crusaders U9'S , when I realised that I had a talent for being a keeper I wanted to see how far I could go and how good I could get.This is where I met Ben and Malcolm. 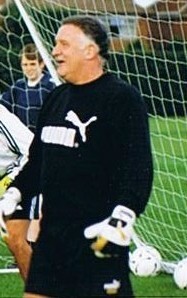 Malcolm was currently sharing his time between Ipswich Town and Norwich City but ran Saturday morning sessions from Sydney and Sussex Uni ground in Cambridge which his son Ben took with Malc taking sessions when commitments allowed ,with their help over the 8 years I was with them I improved and progressed. 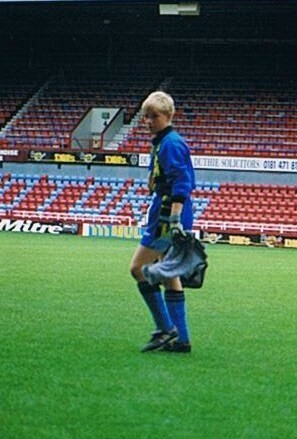 I spent 3 years with Ely Crusaders within which time I was picked for the Cambridge County Representative side seeing off over 30 keepers at the trials to become NO.1. I was given a Trial with Peterbourgh United but due to injury I only attended 1 session, then one night I got a phone call from Malcolm asking if I felt confident enough to play a trial game for Norwich City against Aston Villa at Villas training ground, I accepted. Two weeks later at 12 I was wearing a Norwich City shirt against Aston Villa , I impressed the management and was asked to sign the following week. 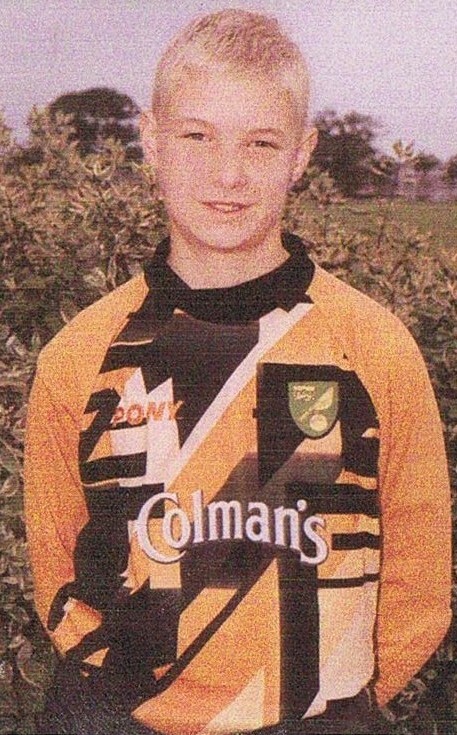 I spent 2 seasons at Norwich City but one was ruined by a nasty neck injury , I was released at 14 but have fond memories such as playing at Upton Park ( West Hams ground ) , meeting and getting signed autographs from pro players at the teams I visited ( David Seaman , Dennis Bergkamp , Sol Cambell ) as well as playing with lads who have made a Pro level now such as Joe Lewis ( Peterbourgh United / England U21 = the lad in orange in photo above ) . I then played two seasons at Chatteris Town Fen tigers U15 + U16 which were the best days of my career , again I was picked for the County team. 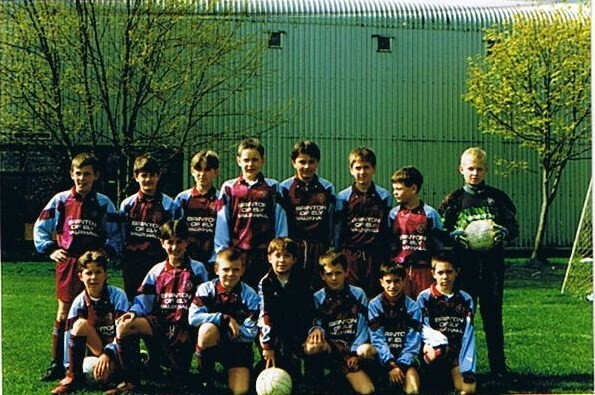 After Chatteris I went to play for Godmanchester U18 aswell as the mens Res and 1st team. A bad injury when I was 16 meant that I was unable to play for a while so I started coaching a local set of Goalkeepers , as I saw them improve I realised that this was something I wanted to do. 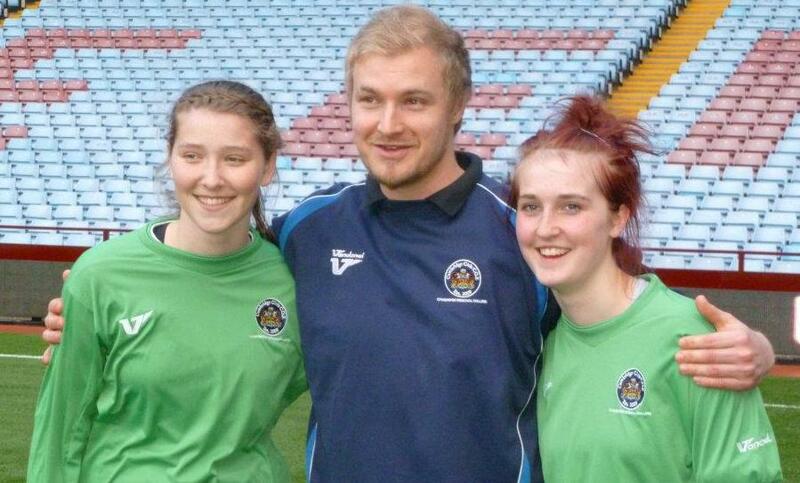 I did my level 2 at 17 and my Goalkeeping level 2 at 18. I attained my FA Level 3 status in 2013 and am currently preparing for my FA Goalkeeping Level 3 assessment with the hope of becoming a tutor . Alongside my personal development I also intend to make FIND US KEEPERS as popular as possible by continuing to help goalkeepers both boys and girls to play to the very best of their abilities. I am pleased to say that I have interested some of the people I teach , both guys and gals , to take their coaching badges which is fantastic for their development. If it was not for Ben and Malcolm's influence I would never have got as far as I did in my playing career , and I would not have stepped into coaching with success I have had. My intention now is to pass these experiences on to help other Keepers achieve their potential with the same relaxed and fun style of training that I learnt from Ben and Malcolm. I work with a training philosophy of " IF YOU LOVE DOING SOMETHING AND ITS MADE ENJOYABLE TO LEARN , COMBINE THAT WITH WORKING HARD THE SKY IS THE LIMIT " . There has been success stories from this and their will be more!